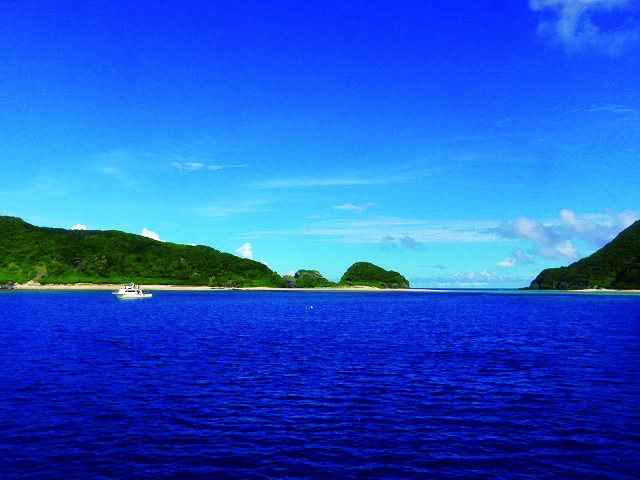 Gishippu Island is located 30 kilometers west of Okinawa main islands, in the East China Sea. Administratively it is a part of Tokashiki Village of Tokashiki Island. It is 0.4591 square kilometers in area, rises 113.7 meters above the sea level, and has circumference of 4.21 kilometers. From the high cliffs on the east side of the island one can enjoy a magnificent view of Tokashiki Island in the south.